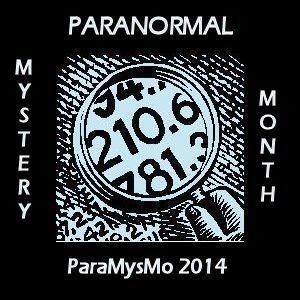 Please welcome Laura Morrigan, author of the Call of the Wilde Mysteries! I’m eight years old, wearing a huge hoop earring clipped onto one earlobe, a ruby-colored scarf tied over my hair, a puffed-sleeve peasant blouse and a smile a mile wide. My long, pied skirt is belted with a sash festooned with dozens of gold coins. Today, I am a gypsy! Jingling with each excited step, I look over my shoulder at my mother. She's decked out in all black. Her dress has an asymmetrical, jagged him and sleeves that fan out like a bat’s wings. Her dark wig is long, straight and has two white sections of hair that fall on either side of her face. She looks so spooky and cool. Dracula steps out of the classroom in front of us and flashes a smile. He has real fangs! By now I'm so excited I'm not sure I'll be able to hold still long enough to say hello to Dracula. (Who's my dentist and custom made the fangs) I want to go into the dark rooms of the haunted house. I want to squeal as I put my hands in the bowls of "eye balls" (peeled grapes) and "brains" (cooked spaghetti noodles). I want the mummy to come alive and grab my shoulder while emitting spooky, mummy-moans. I want to be chased by a scary clown wielding a squeeze-horn. Let's get the show on the road, people! It's time for Halloween! Animal behaviorist Grace Wilde keeps her ability to psychically communicate with furry and feathered critters under wraps. But when a Doberman turns out to be the only witness to a crime, Grace will have to let the cat out of the bag in order to catch a killer. Grace Wilde’s job is anything but normal. When she’s not helping out at the zoo by comforting agitated lemurs, she’s listening to the woes of annoyed house pets. Grace’s life gets even more complicated, though, when the cops summon her to a crime scene to help deal with the murder victim’s terrified Doberman. The pooch turns out to be the only one who saw what happened the night of the shooting—and only Grace can get the information out of him. The problem is, how will Grace tell the distractingly gorgeous Sergeant Kai Duncan that it’s the dog who’s giving her the intel without spilling her big secret or sounding crazy? Left on her own, Grace will have to follow the pup’s lead to track down the killer. But she’ll have to be careful—or curiosity may end up killing the cat whisperer. A tiger can’t change his stripes—but if his behavior changes suddenly, there’s a reason. 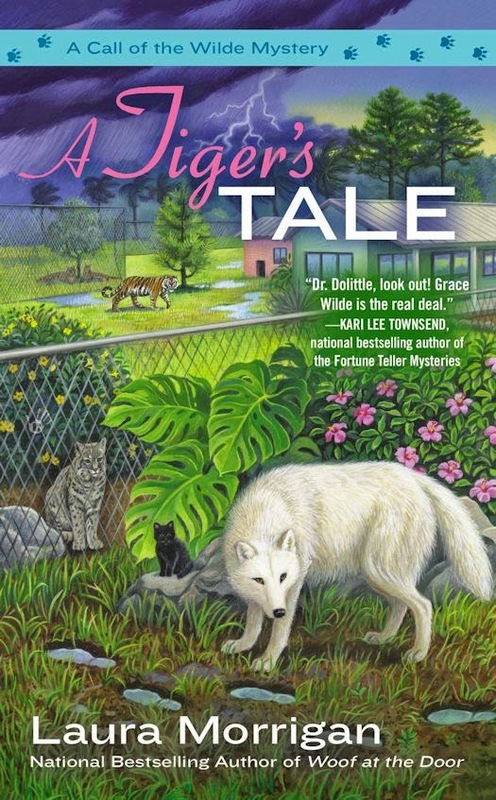 So when even-tempered Boris the Siberian tiger goes into attack mode, Grace knows there’s more to the story. Something is agitating the big cat. As she uses her telepathic ability to calm the tiger, she realizes he has witnessed a theft—not of something but of someone. A teenaged volunteer at the animal rescue facility has been taken…kidnapped. 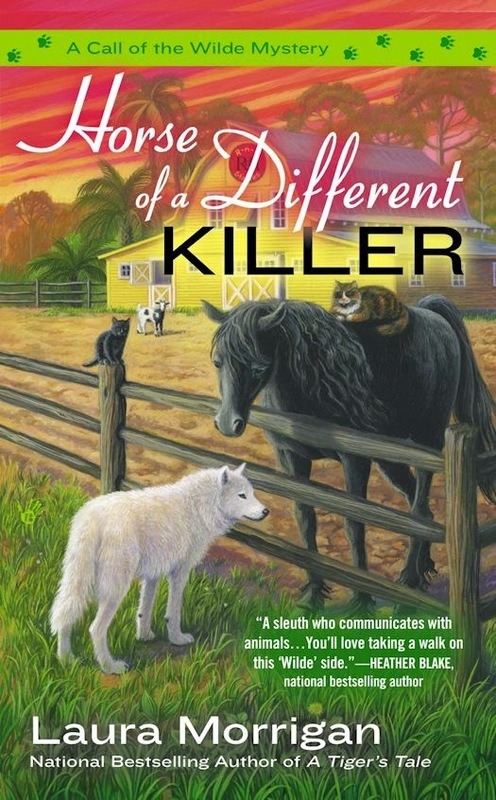 Laura Morrigan is a Florida Native whose work at a local zoo, helping out with everything from “waste management” to teaching an elephant how to paint, served as inspiration for her Call of the Wilde Mysteries. 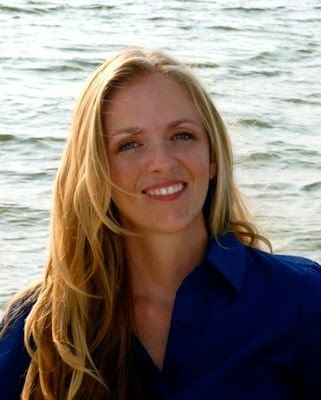 She still lives in Florida and is working on the third book in the series. 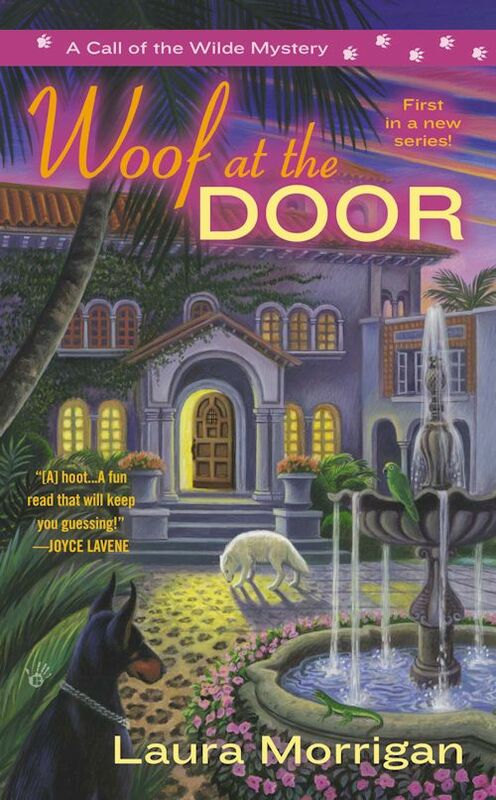 What: One entrant will win her/his choice of a Mass Market Paperback copy of Woof at the Door or A Tiger's Tale by Laura Morrigan. My favorite childhood Halloween costume was a fairy. Hard to top the fairy costume, Patricia! whatever i dressed as i loved halloween! Good luck on winning the first book in the series! I loved dressing as a witch! We don't celebrate Halloween here, but I think I'd make a great witch. :Probably my Cinderella costume. I ended up wearing that one for years. I dressed as gypsy one year which was great as I had these swirling skirts on and a crystal ball! woo hoo! woof at the door just arrived in my mailbox! thanks!